I wanted to take a moment to thank everyone who has contributed to sharing my latest book, Diabetes: The Real Cause & The Right Cure. It has already begun to help people feel confident that they can regain control of their eating habits. 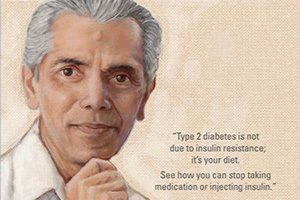 Simply by taking the time to learn and implement the 8 steps I provide, they are reversing their Type 2 diabetes. How can anyone else tell you what to eat on a daily basis if you yourself can’t know which nutrients or how much of each your body needs when you start eating? Your own brain is the only location with the precise information of your body’s needs. My book will help you make better choices and take ownership of your health! 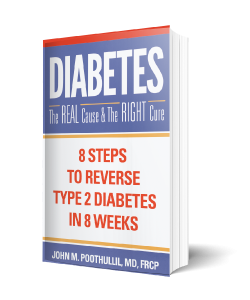 I hope these have inspired you to try out the 8 steps I present in my book to reverse your diabetes. I wish you luck as making changes has its challenges, but I know you can do it.